Ring that challenge bell, readers, because we’re one whole quarter of the way through this winter ‘thon, and it’s time for me to interrupt your reading again. I’ve got a good reason, though. I’m up and showered and dressed in my 24in48 swag/finery, and it’s time for us to show off our bookshelfies. For this challenge, all you gotta do is snap a picture of yourself in front of your bookshelf (or shelves, or stack of books threatening to bury you, or at your local library, or next to your nightstand TBR…you get the idea). Strike a pose, include your coffee / snacks, force your furbabies into the photo with you, however the book spirit moves you! For this challenge entry, post your bookshelfie on social media/your blog and drop the link in the form. Don’t forget to identify yourself and jot down where we can find you this weekend to validate your entry. 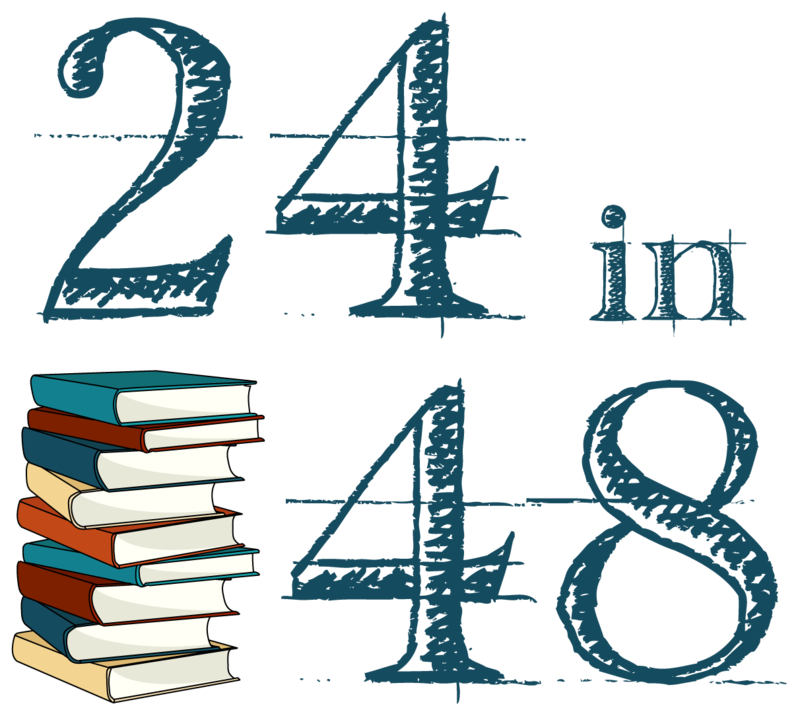 If you’re posting a photo of your entry on social media, don’t forget to use the official hashtag #24in48 so other readers can find you, and tag us so we can see! We’ll post the winners of this challenge in six hours (Hour 18), so make sure you check back after you entered to see if you won! You’ve also got until Hour 24 to enter the Intro Survey!